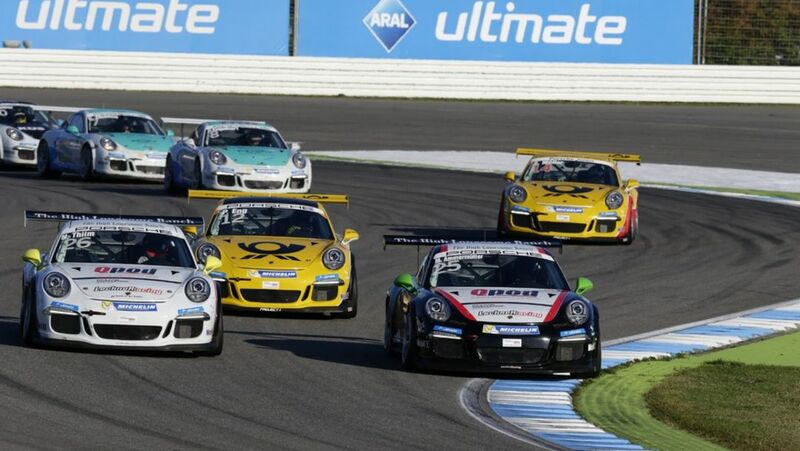 Action-packed season finale of the Porsche Carrera Cup Deutschland at the Hockenheimring Baden-Württemberg. At the end, Austrian Philipp Eng emerged as the new title holder. The 24-year-old Philipp Eng (Team Deutsche Post by Project 1) delivered a thrilling three-way battle against the two teammates Michael Ammermüller and Nicki Thiim (both Walter Lechner Racing Team), with Ammermüller ultimately coming out on top. But his victory was not enough for him to take home the title. After 18 races, Eng concluded the season with 233 points, just two more than Ammermüller with 231 points to his credit. “I’m the happiest guy in the world. This title in the Porsche Carrera Cup means a great deal to me. My consistently good results are what counted in the end,” said a beaming Eng. 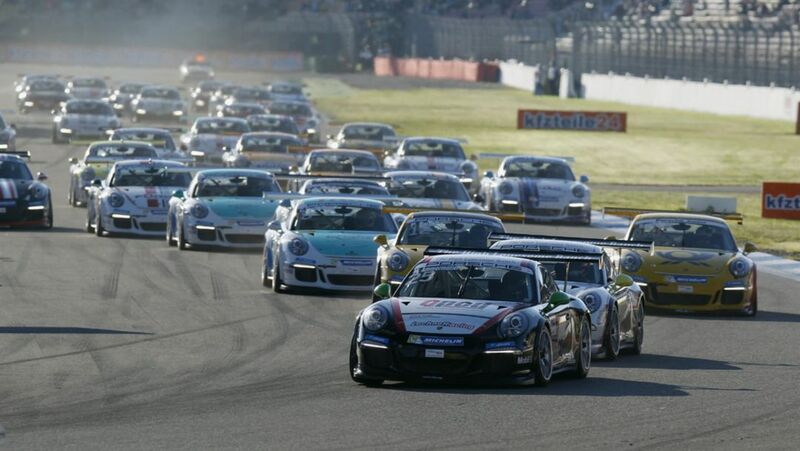 The nervousness of the title aspirants was palpable as Ammermüller and Eng lined up on the grid with their 460 hp Porsche 911 GT3 Cup cars to tackle race 18 of the season. Ammermüller started from pole position with his Danish teammate alongside him. Eng set out from third. When the 36-strong field took off, Eng briefly relinquished his third spot to Porsche junior Sven Müller (D/Team Deutsche Post by Project 1), but quickly managed to salvage it again. The tension amongst the entire field at the last race of the season resulted in numerous collisions and the race originally scheduled at 35 minutes was interrupted by two safety car phases. More spice was added to the title fight thanks to the duel at the front between the Lechner teammates Ammermüller and Thiim. A collision saw the race red-flagged for safety reasons. The order at the flag was Ammermüller ahead of Thiim and Eng, which handed Eng the title. “Obviously I’m disappointment,” explained Ammermüller. “It was so close at the end but it still wasn’t enough. One single position would have been decisive, because I actually have six victories to my credit,” said the Bavarian. Eng climbed the podium nine times, notching up three victories and just one DNF. 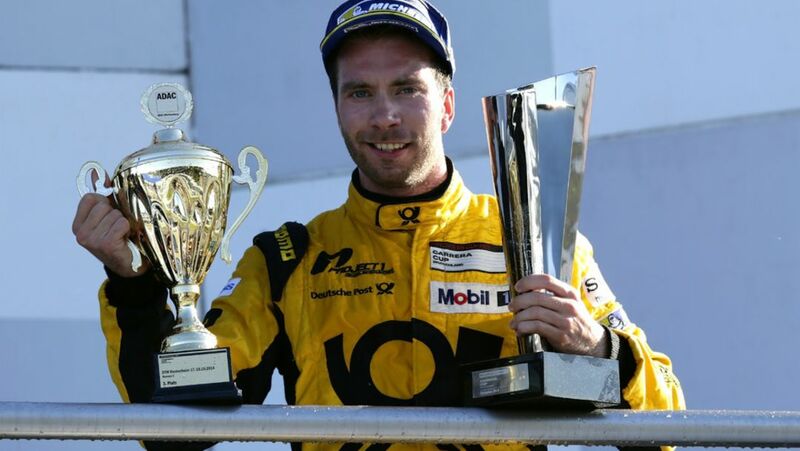 For the native of Salzburg this marks his first title victory in GT racing. Behind Ammermüller, Konrad pilot Christian Engelhart from southern German netted third overall with 208 points. Porsche junior Sven Müller concluded the season in fourth with 186 points and won the Rookie of the Year title. "Unbelievable race with loads of action"
Porsche Scholarship driver Earl Bamber (Team 75 Bernhard) yielded an impressive result: Although a clash of commitments with the Porsche Carrera Cup Asia saw the New Zealander contest only ten of 18 races in the German Carrera Cup, he still finished the season seventh overall. Walter Lechner Racing won the team classification just one point ahead of the Deutsche Post by Project 1 squad. Porsche junior Klaus Bachler (A/Team 75 Bernhard) claimed seventh at the final race of the season. “Because of the many safety car phases I couldn’t make up as many places as I had planned. The car ran well but that didn’t help,” said Bachler. 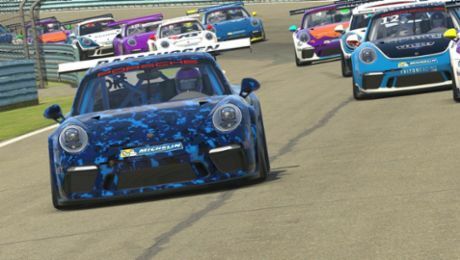 Porsche junior Connor de Phillippi (USA/Förch Racing by Lukas Motorsport) occupied eleventh on Sunday: “In lap two, another competitor slid into my car which bent my chassis and made my Porsche virtually undriveable. I have a difficult season behind me and I hope I can fight for the title here next season.” In the championship, the American finished eighth out of the 37-strong field in the overall classification with 121 points. Porsche junior Alex Riberas (Attempto Racing by Häring) set out from 36th on the grid to cross the finish line in 21st place. “An unbelievable race with loads of action. At one point I was even running 17th, but I became entangled in a collision which threw me back again,” explained the Spaniard. His final season balance was position nine with 114 points. In the future, the Porsche Carrera Cup Deutschland will continue to run as support to the DTM. In Hockenheim a contract was signed with the DTM marketer ITR for a further three years. “For years, Porsche and the ITR have enjoyed a very good relationship. The DTM offers an ideal professional platform for the Porsche Carrera Cup Deutschland. We are very pleased that this collaboration continues in the future. This allows our competitors and partners to plan long-term,” said Dr. Frank-Steffen Walliser, the Head of Porsche Motorsport, at Hockenheim.